North face showing "0°" or "360°" in compass. Lord Kubera is ruling North direction, "Kuberasthana". North is representing money. 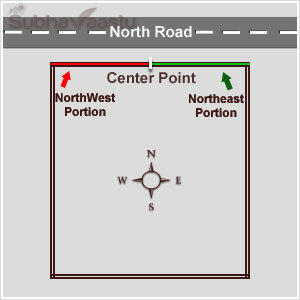 North direction is in between Northwest and Northeast corners. 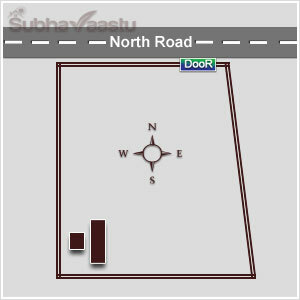 Some vastu consultants opinioned that North facing stands for Money, prosperity. The international standard is North is always up. Based on this, all the floor maps and floor plans prepared compass direction that North shows top. 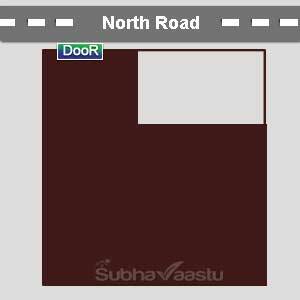 Many residents ran to take the North facing shops without vastu experts opinions. Once they read this article, first they will share this information to their friends to take precautions and ask them to process slowly. All directions may be same, only East and North has immediate Northeast accessibility. 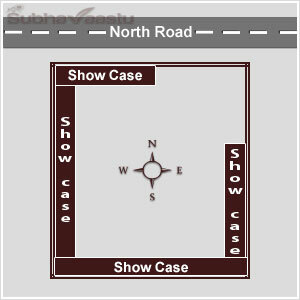 Based on only this point many thought that North and East are excellent in vastu shastra. Once you read our articles you may change the opinion. In our website we published one article on North Facing House Vastu, this article explains how dangerous the North direction without proper vastu consultation. Don't hurry in taking the North direction shops. One mistake in the life is enough to experience the punishment. If you take some shops which they get slashed business, they may be towards East direction shops or South or West facing shops too, if North is only dominating, then no body willing to take East facing shops or West facing shops or South Facing Shops, logic is most important in all sciences. Proficiency and capability consultants first think on the "logic based theories" only, they never follow "blind theories". No direction is particularly prescribed for shops and business. 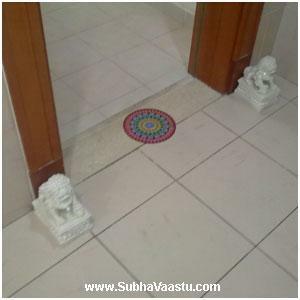 If the property is having good Vastu, then automatically it enriches with good profits. In many cities we can find several shops which they have very attractive business, please check their directions, all shops are not towards North direction, is it right or wrong. In this image owner seat came towards Northwest direction corner and the stocks are at south side, ( Please wait for 5 seconds for the animation effect ). If the Shop is having only less stocks then place them at south side as it clearly shown with light gray color at this image, if you have heavy stocks, see the thick black colored space which was occupied entire South side. If you have heavy stocks then place the items at South direction and movable stocks should be placed at after this stocks that is near to the owner seat shown in this image. Please imagine the door is at North directoin. If owner/shopkeeper is not sitting at this place, then all the stocks should not be keep at South direction, first keep at Northwest direction, so it moves immediately. In North facing shops where should owner has to sit. Is Northeast direction corner area is good? or can he sits at North direction? please note that owner sitting at Northeast corner or North direction area is not suggested, if there is no stocks in the shop, he should not sit at this place. Further, if there is huge North road, then this may not be giving any bad results to the owner. If the stocks are heavy then owner may occupy the Northeast corner otherwise he should not occupy the Northeast areas. Many rules were changed based on the stocks and huge road, less stocks, small road etc, based on the exact facts of the property owner has to select the place to sit, here one expert vastu guru can guide them. This is the best example of North facing shop. 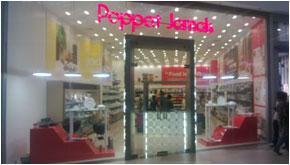 As we discussed above, some vastu consultants are saying that all North facing shops are good for the business. Let us check about this shop. This is also said to be North facing shop. The main door is not at Northeast or North direction, here it is very clearly shown that the main door is at Northern-Northwest. This may cause for mental struggles, leads to losses, mental tortures, over expectations, insecure feelings, litigations, debts, unhappy. But for some time, this shop may brings huge business to the owner. By seeing that huge sales, he goes for extending the shop with latest models of sarees with huge stocks by taking new loans (for sarees shop) etc. Finally, he lost business with various reasons and loans will remain and got mental tortures with creditors and finally he left the shop. If this shop has upstairs or upper floor access, then the staircase should not come at Northeast corner or North direction, the best place for the staircase is Northwest corner. 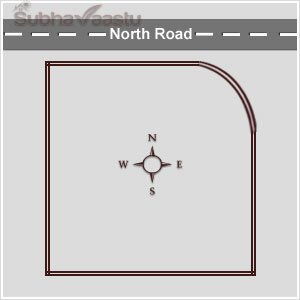 If Northwest is not available for the staircase then place it at South direction, if it also not available then plan for the staircase at West direction or Southeast corner. But at any cost don't plan the staircase at Northeast corner. This may harm the entire establishment. Southwest corner is most important for owner. He has to occupy the Southwest corner, in many cases it may not be possible to occupy the Southwest corner at North facing shops. At that moment, based on the stocks and business nature he may occupy the Northwest or South direction or West direction or finally the Southeast direction, don't plan to sit at Northeast. Please note that Southeast direction is not preferable to sit. If there is no any other place, then only he may choose to sit, that to only on temporary basis. Some directions are supports to the owner when he chooses the sitting places. If he sits in wrong places, he has to pay penalty for that selection. For east facing shops, owner may sits at Southeast, but for North facing shops the Southeast is not prefferable place to sit. Northeast entrance is excellent for a property, here this property is having Northeast-north entrance. It is good, but we should be very careful when selecting the property, we should check all other things before taking a property either for rent or for own. Here this property has southeast extention, slightly it is extending southeast, due to this SE extension, Northeast is became cut. Losing good name and fame in the market slowly. Stamina will slowly decreased. Year after year getting losses and pressures from departments, cheated by staff or partners or wholesale people etc. This is also North facing shop. It has Northeast-north door. This door is good to this property. Please observe the North wall of this shop. Crossly developed towards Northwest, due to this the Northeast become truncated. This Northwest extension may not provide good luck to the occupants. The owner/occupant has to face many issues. For some period this shop may run fantastic, after observing this business opportunities owner needs to extend the stock or extend the business, at this moment the money lenders are ready to give loans to this shop owner (tenant) easily. Once got loans from financial institutions, later this shop become weak in business and struck in one stage. Owner/tenant cannot sale the stocks, no expected sales, finally stocks are struck and debts improved. Pressures from financial institutions, money problems, mental tension etc. Finally left the shop. Please note that time is very important for any property in terms of Vastu Shastra. Occupying a weaker Vaastu property for more time then the occupants may suffer lot, shorter time occupying slashes with lesser bad results. The above shop people will get loans or credits from financial institutions very easily. Money lenders are always ready to support these shop owners/occupants at starting and later they will drag with many demands and may also confiscate many things including happiness. Have you observed this image, here owner occupies Southwest part of the shop, this shop has Northern Northwest entrance door. 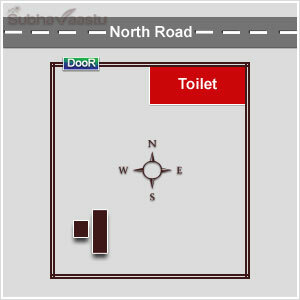 Toilets are at Northeast corner. This shop is totally malevolent for the capital.In such shops, owner has to forget about the profits in future, may enjoy little happiness for some days for some period like few months or 2 years, finally he become looser. Debts, financial institutions notices, relatives pressures, non co-operation of staff (hidden), mental torture, friends may became enemies, owner has to face hateful situations, relatives may not be closure and one day finally shut down the business. If in case these kind of structures/shop is running for more than 10 years under one management, then there is a high possibility of fantastic House vastu support to this same management, or they may shown their home with one expert Vastu Pandit and got their recommendations on their home, because some times, shop building owner may not accept for any changes, so the tenant run in that same shop, but done corrections to their homes. This may be possible if shop runs from past 10 years, though he lives in good vastu home, he should be in debts. Have you observed the North and East walls here. Though the shop is having Northeast door, but it may not helps for longer life. It may be stand-alone simply and seeing the developments of increasing the debts, defame etc. The owner/occupant may always suffers here, most of the times he will be the loser. His decisions may be wrong in future. Whatever he takes the decisions they may defame in future. In some cases all the above results may be very slow because of the surroundings support. Please note that we are discussing only about the inside and structure only, we are not discussing about the surroundings support. Uncontrollable situations may be heavier and ungovernable situations may also be appears here. If the surroundings were supports then the negative results may be late but finally one day owner/occupant may leave the property with huge losses. Main entrance door towards Northeast flourish the concern, where as the Northwest doors decline all factors which are supports to the environment. Even other factors are not helping in overcoming the defects, the northeast door may fulfill the bad effects and may help occupant with broad hands. If the property is having only Northwest door and there is no any such facility to do the corrections, then do corrections inside on all other things like show cases, placing the stocks etc. In this link we discussed about keeping the stocks or show cases, which were published below. Have you seen a difference in this property and above properties. Please check all again. This North facing shop has Northeast truncated and the Northeast curve. Northeast should not be curve. This is said to be one of the malevolent. A small mistake may trouble your entire life. Before taking any shop do one small plan. How much are you giving rent to the shop. How much you are giving advance, how much you are investing. How much you are ready for monthly expenditures, like staff payments, electrictiy charges, petty expenses etc. How much total monthly interests paying for the total investment. Now think about vastu consultant charges. His charges are dead cheap when compare with your investments. Intelligent people never do mistakes. They only contact the expert vastu guru in this regard. Be wise, save your investments, save your peace, save your family, save your life. Generally power means fire. So most of the Vastu Experts are advising to place power meter or power system towards Southeast or second best is Northwest. Plan for the electricity meter towards Southeast, regarding switch boards, plug points, they may be up to you. No serious actions are necessary for this plug points or switches. If there is no option for electricity power point to be placed at Southeast then plan it at Northwest area. This is also second best place. If there is no option for power meter to setup at Southeast or Northwest then you may plan it at East or North. Generally, we never recommend this electiricity meter to be placed at Northeast corner. Electrictiy Power is most important for a shop, if there is no option except Northeast, then keep it there. Try to affix your interested god photo on that Electrictiy meter panel board plank. See the image for 5 seconds, one red colored pointer blinks at Southeast corner in the image. This is the right place for electricity meter/ main switch. If you are maintaining the inverter then its placement also be same at Southeast corner. Or may keep at Northwest too. If there is a generator in the shop, 99.99% people never keep generator at inside of the shop. If you have outside vacant place at Southeast, then keep the electircity generator at that place. If there is no option then keep the generator at Northwest corner of this shop outside. Many shop owners require stocks to keep in a certain place very near to their business premises. At that time they may take the godown/ stock points/ store room for their goods. Small concerns may need only extra cupboards or shelf, but many business concern nowadays requires a separate room for keeping goods as stock, whenever they require they will use them until they will be kept at a certain point. Don't take those stock rooms attached to the Northeast point. Some may have stock points at Northeast places, be careful in using such rooms as stock points, this room should not be over loaded and should not be seperated from main firm. If you done Northeast room as a godown or stock point by seperate this NE room from main shop, it may horribly troubles you. Instead of keeping this Northeast corner you may arrange one Northwest room as a stock point which you want to sell the stocks, its good idea. Due to the Northewest room, the shop has "L" shape and Northeast also extended into the shop. It's good idea. As said earlier before in the above point, we should not make the Northeast room seperation from the main shop. Further, don't plan the Northeast room as a kitchen, this is not at all good idea. Don't plan the kitchen at Northeast corner. This may evaporates your finance and stamina. 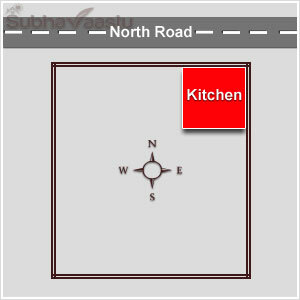 We should note one point, open kitchen is different and closed kitchen is different and results also variance. Our decision plays with our future. You are a wise person, take right decisions today. Generally, shops with Northeast entrances will grow or develop or florish easily. 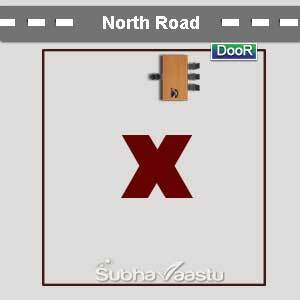 If Northeast door is not available or its not possible to arrange then try to put the door at North, but should not touch keep the main door at Northwest of North. Show cases or racks should be placed towards West or South directions, with this financial support improves. Showcases or racks should NOT be placed towards North or East directions. Please note that if there is South and West racks are there and you need to arrange another rack at East or North then you can do. In some shops there is no possibilities except to place entire four directions, at that time first fill the entire racks towards West direction and South and there after fill the Southeast upto East and Northwest upto North, maximum try to avoid keeping heavy stocks towards Northeast-north, Northeast, Northeast-east. Below image has such feature of setting up of racks at four directions.. If there is heavy stocks and need to extend the racks at shops, then first fill at South and West and East and finally North, but don't keep at Northeast. This image has good information how the racks has to be arranged in the shops in all directions. In this image it was very clearly shown that there is nothing at Northeast corner. Try to arrange like this system. It's bright idea. Some asks about threshold is necessary to the shops. We have collected some images, out of them we are published one below. Threshold with good attractive picture welcomes heavenly elements. Check the threshold here. A smaller elevated one but it was neatly decorated with color sticker. More colors with good lights attracts more business. If a premises does not have good lighting it may not have expected results. Make sure that light, airflow should be good at shops particularly they should be bright light. Dim light is good for bar and restaurants not for other shops. Threshold is important as per our elders suggestions, but we cannot keep threshold in all the concerns. In such situation, maintain good looking of that area. It's enough. Many buildings now may have another second door for their shops, if so, it should not be towards Southwest, Southeast, Northwest placements if the shop is North facing shop. If shop has Northeast-north door then Southeast-south door is not bad, but for North main entrance door the Southeast-south door is not correct aligned. Bad doors may harm your capital and hardship. Please note that all the Southwest doors are said to be bad. In our experiments there is unbelievable good results that we can seen at Southwest doors. It happens only because of row shops with same style of structure and method of adopting or otherwise it may be called as dilapidated property if it was not built in row shops. 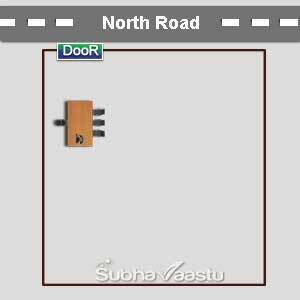 South facing house vastu, somebody says, this is bad? Who is best vastu consultant in California, looking for consultancy? If vastu is good, then is it good to start the vastu for trading business? We are planning to take East facing shop for our new stores, is it good? Would like to know more information on vastu for factory, where can I get? 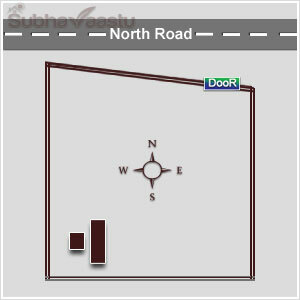 We started a new shop which is facing north, I request you to give some vastu tips. 1) Best place for keeping idols, In which direction idols should be facing and in which facing we should worship the god. 2) Where should we keep cash counter in which direction the draw should open. 3) Can heavy items placed in South west direction. 4) Where should we keep cash box. 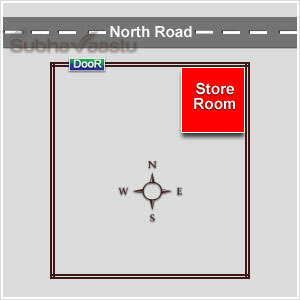 We moved to the new shop which is facing north, I request you to give some vastu tips. We are recently renting out a place. When a person enters this new office he will be facing to the North and his back would be to the South. 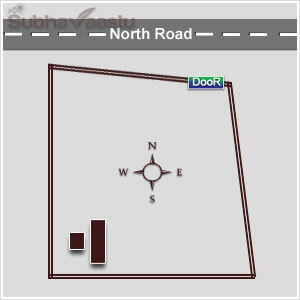 We would be using this premises for starting Coaching Classes as well as creative web and print designing. Would like your views on if such an opening is good. Also please suggest what facing do i make my sitting arrangement. Nice to find these vasthu tips online and it's really usefull..
We have our shop facing north, where do I install steps for my shop since it's 4feet above road level and we can install only 3 steps at maximum. Is North West corner optimum or south west corner or north in middle of shop. Also advice as to 3 steps are aspicious or advice optimum no of steps. North- East land north direction shop.North side road selling any better. North -east direction land north facing shop.There are plans to build a shop on the north side.road is north direction.It would be better to sell somthing.